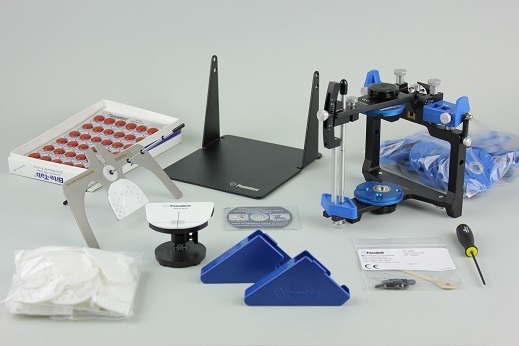 The Kois Module comes with all essential to start using the Panadent Articulator, Kois System and common accessories. Magnetic System is included along with Mandibular Mounting Stand, Support Legs, and Bite Tabs. Molded plastic case not included.